First attempt at being a hackish radio host. Please feel free to comment with criticism, suggestions, and vicious personal attacks. I am an unashamed magazine connoisseur, but not just for any magazines. I have a real love for longform opinion journal-magazines that offer up analysis and opinions on current affairs from that magical middle ground between technical expertise and complete vernacular. The public intellectuals and public figures who publish in these magazines are usually pretty darn smart, and have both a deep intellectual grasp of the subjects at hand, and a broad cultural-historical understanding gleaned from active life in society, and so are able to translate their ideas into relevant messages capable of informing poor dumb sons of farmboys like me. They do important work, and moreover, their work does not go unnoticed- this intelligentsia articulates the ideas and principles that policy wonks, politicians, businessmen, civil society leaders, and other members of our elite fundamentally talk in. Knowledge, it is true, is power, and those who write with fire in their pens fundamentally shape the debates that shape the policies that shape the world the rest of us inhabit. If you would read a country’s fate, read what its elites are reading and writing. An eclectic and relatively centrist-reformist-nationalist publication, TAI publishes across the ideological spectrum everything from cultural commentary to strategic commentary to political analysis in a broad historical context. It’s my favorite magazine out there. A bit further to my left is Democracy Journal. Democracy Journal embodies pragmatic progressivism and publishes essays by all sorts of interesting types. The self-proclaimed (and deserved) successor to the legendary journal The Public Interest, National Affairs is a thoughtful and fairly wonky journal of policy ideas and philosophical musings on conservative, market-based alternatives to the 20th Century regulatory state. The landmark conservative journal of science and society, The New Atlantis examines questions at the intersection between science, politics, and public policy. Like National Affairs, City Journal examines post-Great Society alternatives to mid-20th Century policies- the exception is it looks almost entirely at the municipal level. A conservative Catholic publication, First Things excellently discusses the philosophical dimensions of American public life. Probably the single best resource for those interested in foreign affairs and strategic issues, Foreign Affairs is one of the oldest thought-journals in circulation and, like The American Interest, a reasonably centrist and nonpartisan outlet. National Journal is another excellent publication dedicated to covering American politics and policy issues. It, too, has no real policy slant, and features authors from across the ideological spectrum. 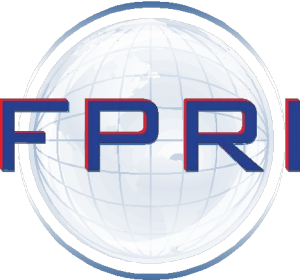 The journal of the legendary Foreign Policy Research Institute, Orbis provides in-depth and scholarly coverage and commentary on major geopolitical trends. Like FPRI in general, it puts the events of the present in geopolitical and historical context. A neoconservative publication premised on interpreting the classics of Western Civilization anew in the materialist, postmodern age we inhabit, The New Criterion does excellent work defining cultural conservatism for the 21st Century. A reformist liberal outlet, Breakthrough Journal highlights the work of The Breakthrough Institute, an environmental think-tank committed to articulating and advancing a pro-growth environmentalism called Eco-Modernism. The journal’s essays are always refreshingly pragmatic. 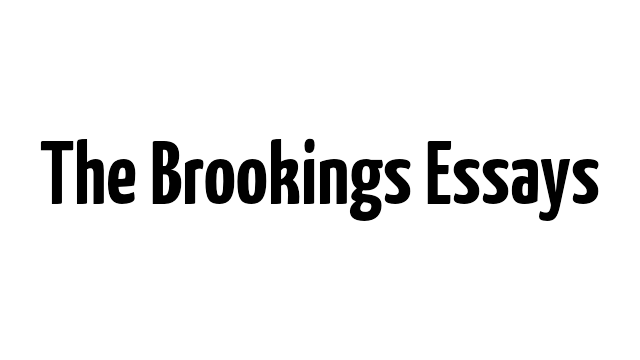 Published by the Brookings Institution, The Brookings Essay is an occasional longform analytic piece on a given topic. It is always an excellent primer. As a moderate Republican myself, I look on in horror as pragmatic national figures like Boehner and McCarthy are executed in the public eye by the Republican radicals now ascendant in Congress and many state legislatures. Bear in mind, Boehner and McCarthy stand to the right of Ronald Reagan on issues as diverse as gun control, deregulation, and immigration, yet they have met their demise at the hands of throngs of populists who worship a mutated version of the Gipper in every statement. In this contemporary climate, my mentor the historian Geoff Kabaservice sees eerie parallels to the conservative revolution of 1964, when Presidential candidate Barry Goldwater shunned the moderates in the Grand Old Party and dragged it far to the right. The result: overwhelming victory for the lefty Democrat Lyndon Johnson and Congressional majorities for the Democrats for a decade. The GOP, by radicalizing, marginalized itself from the rest of American society and handed victory to the Democrats. Is the GOP of 2015- presented with a floundering Democratic Presidency, the best possible opportunity for the opposition party to seize the White House in an election year- throwing away its shot? If the Freedom Caucus and its supporters continue to dominate Republican congressional politics and give energy to anti-establishment Presidential candidates like Trump and Cruz, then perhaps. All the factors in the national and global situation point to a 2016 Republican victory- but all the factors in the GOP itself point to an increasingly ideological and regional appeal for the Republicans, which would all but guarantee a Clinton or Biden presidency. 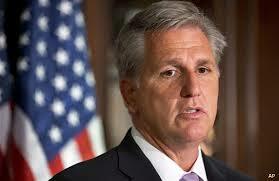 The party, by playing games and not doing anything constructive, is committing electoral suicide. It is unfortunate that the ideals and legacy of so noble a tradition as that of the Grand Old Party would be subverted by heirs to that tradition more interested in political games and ideological purity than in the actual process of governing, crafting principled and pragmatic policy agendas, and leading the United States of America into its next great epoch. We are the generation that will lead America someday, and THIS is what we’re doing?